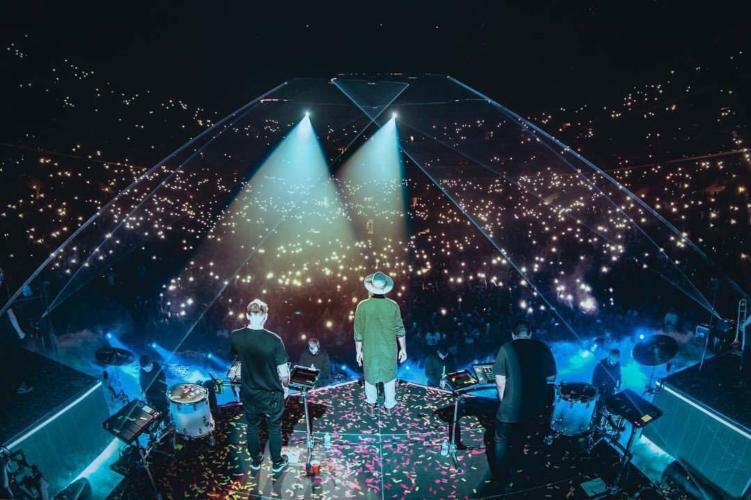 From small venues in 2012, to selling out back to back nights at the famous Red Rocks, to conquering the Staples Center, ODESZA’s journey has come full circle. With a brand new show debuting their newest album A Moment Apart, the Seattle super-duo conquered only what some musicians can only dream of: a sold out Staples Center show in one of the biggest cities in the world. The group announced early this week that their North American tour would offer fans a brand new show. Feauturing new visuals, new live edits, and a new arrangement, the show certainly did not disappoint. Missing is some favorites most ODESZA fans will have a hard time parting with. IPlayYouListen, My Friends Never Die, Big Girls Cry – SIA (ODESZA remix), Today, Faded – ZHU (ODESZA remix) and Kusanagi did not make an appearance. These songs were replaced with Show Me, Thin Ceilings and Tall Floors, Across the Room, and Falls. Known for making live edits of already existing songs, the group mashed up several new hits while introducing new edits of already existing favorites. Only time can tell whether this set-list changes as the tour continues. From a fan’s standpoint, it’s refreshing to see their live show evolve into the epic cinematic masterpiece it currently is. So many songs left to the chopping block, while so many new pieces found their way into this magical set.